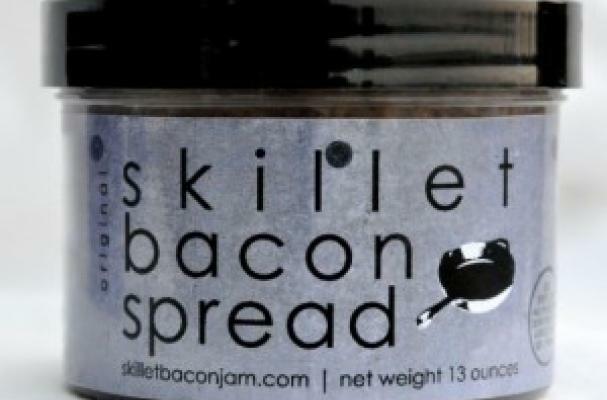 Skillet Bacon Spread makes a meaty PB & J. A product from the Seattle based mobile diner, this intensely flavored bacon condiment is delicious on just about anything. Enjoy it spread on burgers, mixed in a sauce, or use it as a base for a dynamite salad dressing. This spread is available in original (pure bacon flavor) or fennel and black pepper. Each 10.5 jars costs $10 and is available in stores and online.